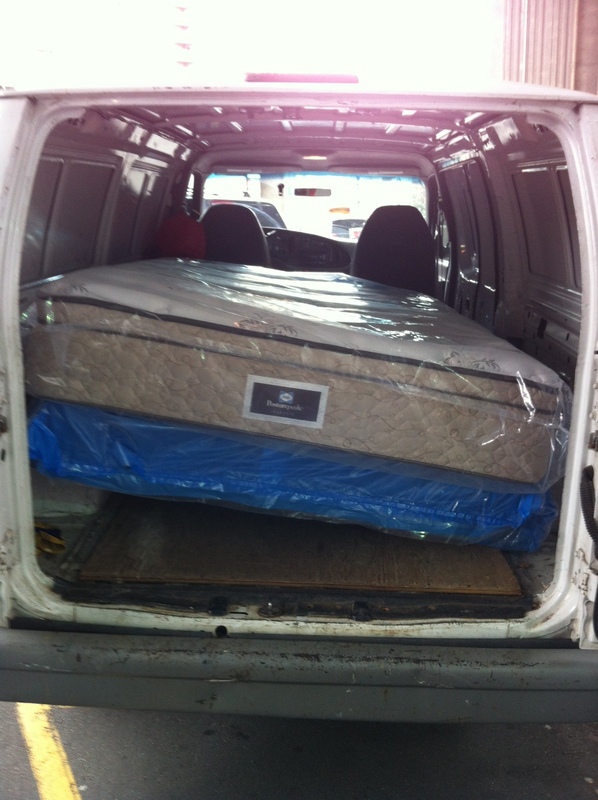 Queen Mattress And Box Spring Pickup and Delivery Services, Delivery Services – IKEA, Costco, Home Depot, etc. 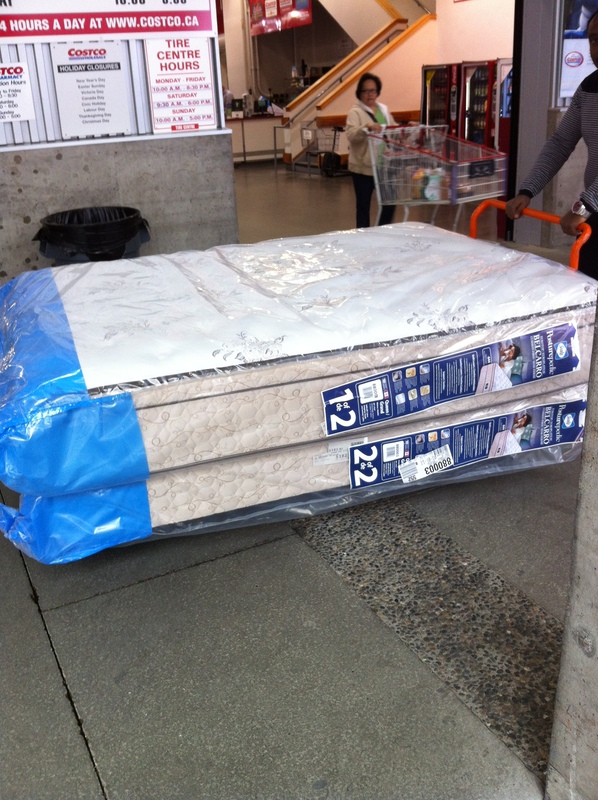 Same Day Service – Mattress And Box Spring Pickup and Delivery | Today I delivered a Queen Mattress And Box Spring from the Downtown Vancouver Costco store located at 605 Expo Blvd. Every thing went very smoothly. 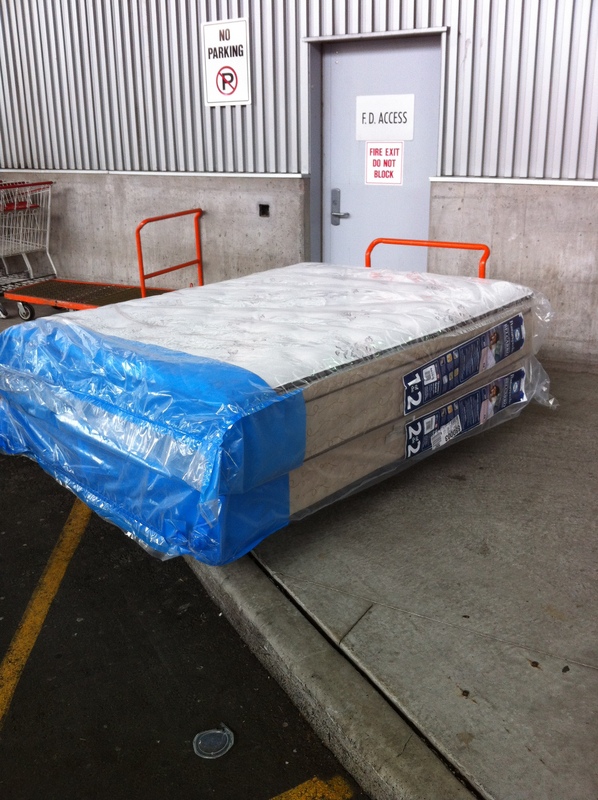 When I arrived at the Downtown Costco store they were already there waiting for me with the Queen Mattress And Box Spring ready to go on a dolly. We loaded the Queen Mattress And Box Spring into my truck. I followed the customer to his apartment in East Vancouver where I gave him a hand to unload the items onto his dolly. *The Downtown Vancouver Costco store does not offer an in-house delivery service. However, they do use a 3rd party delivery company for web sales. My delivery service is cheaper, faster and more convenient. 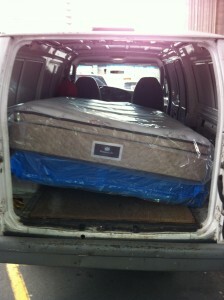 12 foot Cargo Van | Queen Mattress And Box Spring Pickup Services, Delivery Services – IKEA, Costco, Home Depot, etc. Cargo is ideal for student moves up to a 3 1/2, (ideally fits a double or queen size bed, 2 dressers, 2 desks (if dismantled), 30 to 40 boxes, a couch, mattress, box spring and a lot more. Van dimensions inside is 12 feet long by 4.5 feet wide by 5 feet wide. This is perfect for any small or student moves. This entry was posted in Furniture Delivery Vancouver and tagged Mattress And Box Spring Pickup and Delivery. Bookmark the permalink.